Pebbles is designed for San Vito’s Castle (where it’s permanently installed) and inspired by the water that no longer flows in the moat, but that has filled the riverbed with pebbles of the Tagliamento River. A group of rusty metal hemispheres of different sizes, surface from the moat’s bed among the pebbles. 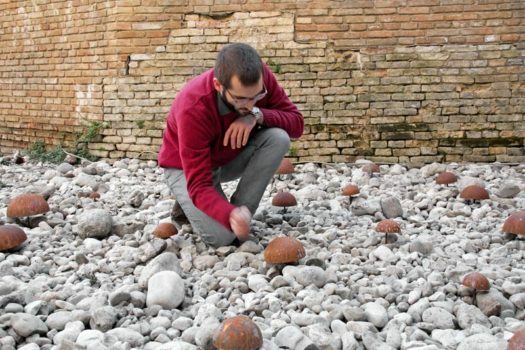 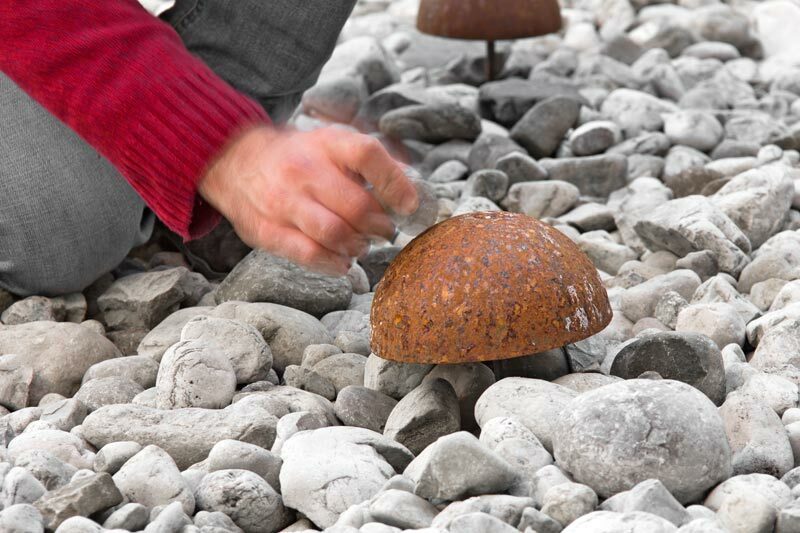 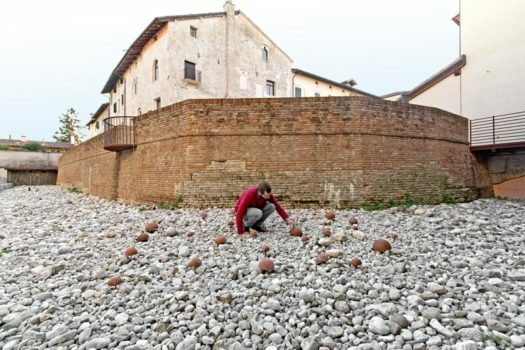 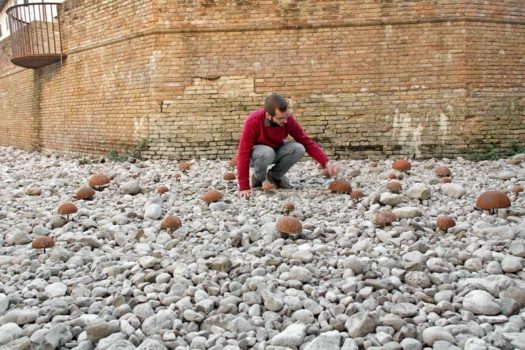 The mimetic installation reveals its musical nature only when people interact with it: like bells, the metal pebbles give a unique voice to the moat of San Vito’s Castle and may be used as musical instruments to play abstract melodies.